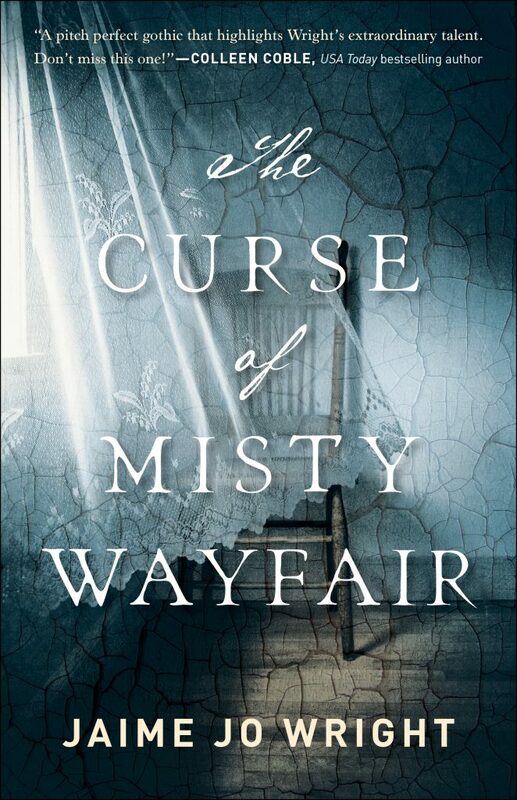 The Curse of Misty Wayfair — Review, Excerpt, and Giveaway! If you follow me at all on social media, then you know I have an obsession with Jaime Jo Wright and everything she writes. Her first two books, The House on Foster Hill and The Reckoning at Gossamer Pond, are on my Top Ten All Time Favorite Reads List. 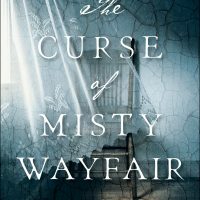 The list of awards for The House of Foster Hill just keeps growing, and I cannot find adequate words to express how much of loved her latest release, The Curse of Misty Wayfair. I honestly don’t know how Jaime Jo Wright does it. The three books I have read by her have all been excellent–each one better than the last, in fact. And each one with its own distinct style, tone, and message. The Curse of Misty Wayfair is a haunting, intense journey exploring identity, grace, and the stigma surrounding mental illness. Wright expertly and sensitively navigates the ragged history of mental illness care and “treatment,” while keeping the integrity of the truth. The Curse of Misty Wayfair is dark and creepy, yet laced with hope and grace. Definitely creepier than her previous two novels, it is not so dark as to lose the strong element of faith that ties both timelines together. When I had to tear myself away from this book to tend to my responsibilities, I found myself aching to return to the story–as if by my presence I could protect Heidi and Thea from the haunting and mystery shrouding their lives as they fight to uncover the truth–the truth they aren’t sure they truly want to know. I cannot recommend this book highly enough. Wright is a master storyteller with honest and flawed characters that display God’s grace and compassion through their imperfect search for purpose and identity. Just click here to get access to it. You’ll be hooked and need to run right out and buy it because you’re going to love it so much! Now you can enter to win your very own copy of The Curse of Misty Wayfair! Just comment on this blog post and let me know if your favorite genre to read, and your drink/snack of choice while reading. That’s it! I will randomly choose a winner from the commenters on Saturday, February 9. Oh gosh, I don’t know if I can pick a favorite genre. I love them all, though I would say I have a particular fondness for historical fcition. And as for snacks while reading go, anything with peanutbutter. I remember you posting on FB how much you loved this book. I’ve been looking for a book to read. I love mysteries, and historical fiction. Since I mostly read in bed, I probably wouldn’t be drinking or eating anything. But…. if I did, it would be a cookie of some sort and a big glass of milk. I love a good mug of Land O’ Lakes hot cocoa even though it gives me heartburn. It sure is yummy, though! I am sure it would be a fun read. I forgot my drink of choice would be a nice cuppa Barry’s Tea with toasted , buttered artisan raisin bread. My favorite is historical fiction. During the day I’ll have my Starbucks while reading, but once the day turns into night it’s definitely red wine. My favorite genre is mystery/suspense and my favorite drink is sweet tea with lemon. Jaime’s book would be a wonderful addition to our collection. I love to read romcom and contemporary romance. And I love to drink vanilla chamomile tea while I read. Thanks for the giveaway! My favorite genre to read is Suspense and Historical fiction. I love to drink hot tea and iced coffee. Popcorn is a great snack. I’ve seen phenomenal reviews on this and I really want to read this. Thank you for the giveaway chance. I love horror/mystery/thrillers the most, even though I love to read pretty much anything. My go-to drink is coffee. Oh, then you’d LOVE this book!! I adore all kinds of books, but love historical fiction and mysteries/thrillers. I also love coffee or lattes! Thank you for this chance! I like reading all different types of genres as long as they have great story lines. While reading, I enjoy drinking coffee and tea. I love historical and mystery.ooh! probably tea and chocolate. I love Regency and all clean romance, and chocolate is a must while reading!